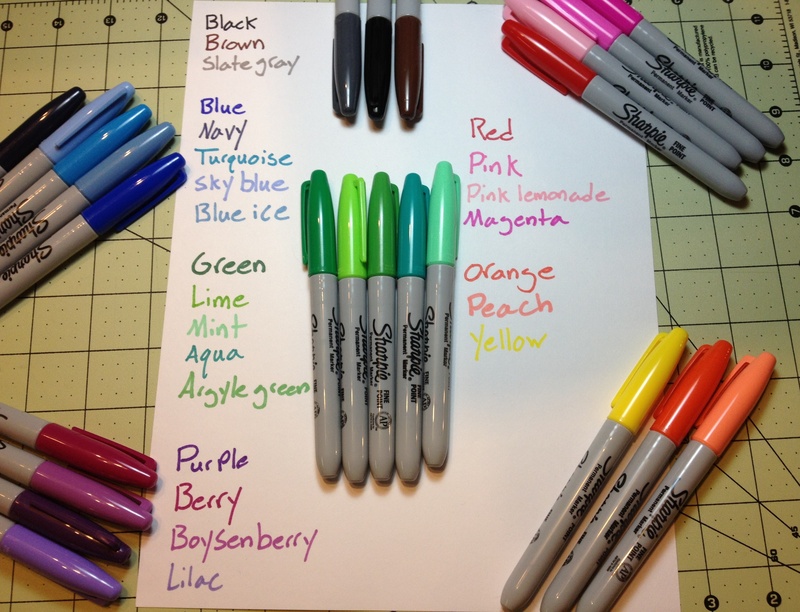 And now, it is time for the final (for now) part of my look into the various colors of Sharpie markers (that I own). This section isn’t quite a “nice” as the others as I didn’t have another place to put the yellow that seemed appropriate, and there aren’t many oranges. Nevertheless, let’s take a look. Orange – The standard orange is, like all standard Sharpie colors, quite dark. It doesn’t quite resemble the fruit enough for most renderings but is close enough. It’s not too bad on bleed-through, feathering, or shading. It’s well behaved, just not that useful. Peach – Peach doesn’t quite look like a peach either. It’s more of a weird skin tone. But it is perhaps a bit more natural looking than the orange. It’s pretty bad on bleeding and feathering, with shading being noticeable. But it is pretty so if you like the look you might be able to find a use for it. Yellow – And finally yellow. It isn’t something really spectacular. It is indeed stereotypically yellow, without much of a natural bent. It is hard to read in the dark and bordering on eye hurting in the light. It bleeds through, but feathering and shading are minimal. I would struggle to find a place for it due to its unnatural hard-to-read-ness but if yellow is your thing, it certainly gets it done. And that’s the last set of the Sharpie colors that I have. It’s probably the most lackluster set (figuratively. Literally would be the neutrals). I would struggle to find a place either in art or at the office for them, but they do help round out any personal collections and would make eye-catching signs I guess. Most of the Sharpie colors are more useful, though. The set I have would work both in the artistic and office realm. And it offers a large enough selection of colors to keep most people happy. 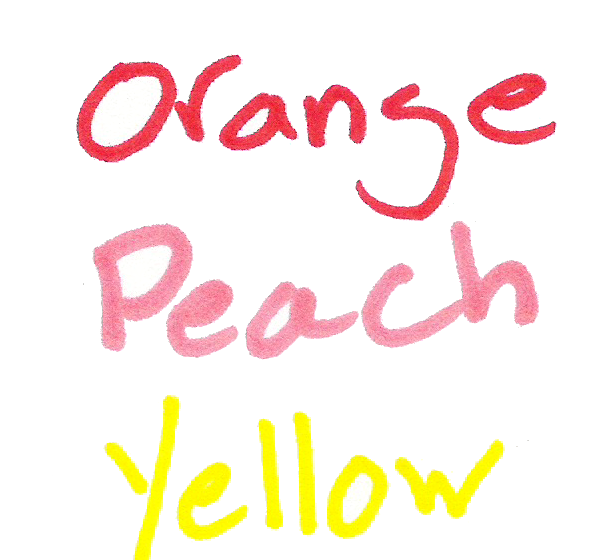 This entry was posted in Intermediate Supplies, Utensils and tagged art supplies, art supply critic, color, colors, critic, orange, peach, permanent marker, review, shapie, sharpie markers, sharpie pen, sharpies, yellow by Dragon Co (Austin Smith). Bookmark the permalink.